Yes, that's her real name, and no, she didn't change it for Shake Shack. But she did get that tattoo. "Brand Superfan of the Week" is a weekly feature in Campaign US in which we spotlight an individual who proudly displays their love of a particular brand in their everyday life. At the 2016 ANA Masters of Marketing Conference in Orlando, Shake Shack vp of marketing Edwin Bragg said Shack fans' love stretches so far that some have even made it permanent. He then revealed a photo of Rachel Hamburger (yes, that's her real name), who inked the Shake Shack logo on her left torso in 2014. We couldn't think of a better individual to kick off our brand superfan series than someone who got a tattoo to show brand loyalty. Here's Hamburger's story. Is your surname really Hamburger? Indeed, my last name is Hamburger—it originates from Hamburg, Germany on my father's side of the family. I got the tattoo two years ago in LA for a few reasons. First, people have always asked me if it is really my last name. All throughout my life, I've always gotten jokes about it (nothing mean, always good natured which I appreciated). I'm an only child and it's a running joke for me and my parents to tell people "Hamburger, like the meat." Since it's such a funny last name, most people assume it is spelled differently. Second, my friends at home were used to my last name, so they never thought anything of it. When I went to college, my roommate started calling me "Burgs," which caught on, which I love. Why'd you get a Shake Shack tattoo? For me, my last name really makes me feel unique, and I think it attributes to who I am as a person. I'm not always going to be "Rachel Hamburger," but I really wanted to keep that part of me, which is why I thought of a tattoo! I really like Shake Shack, and when I was thinking of a burger tattoo, I didn't want something too comical. Shake Shack's logo is perfectly fitting. It's on my side, so you can't always see it, but I love knowing it's there (corny, but true). 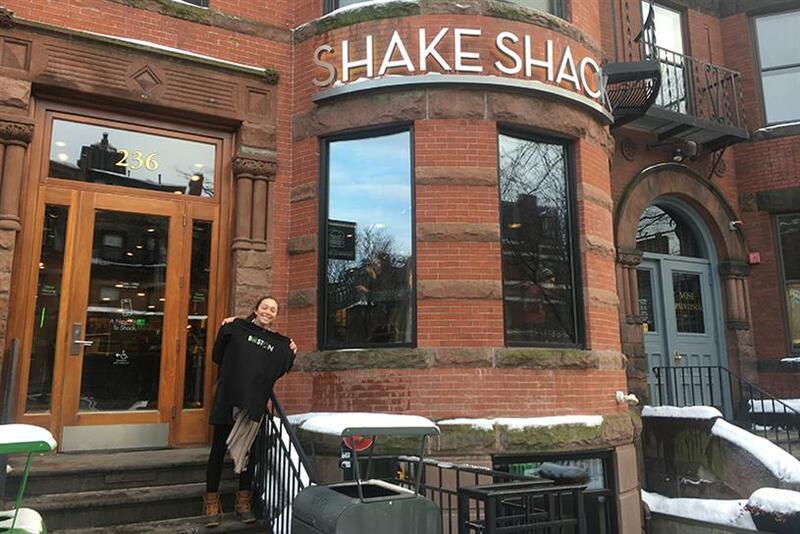 Why do you love Shake Shack? I had Shake Shack for the first time in DC, and I really loved it. But the logo really stuck with me, hence why I got the tattoo of it in honor of my last name. When I got the tattoo, I tweeted a picture of it and some reps from Shake Shack got in contact with me. The rest is history! What's your coolest piece of Shake Shack swag? 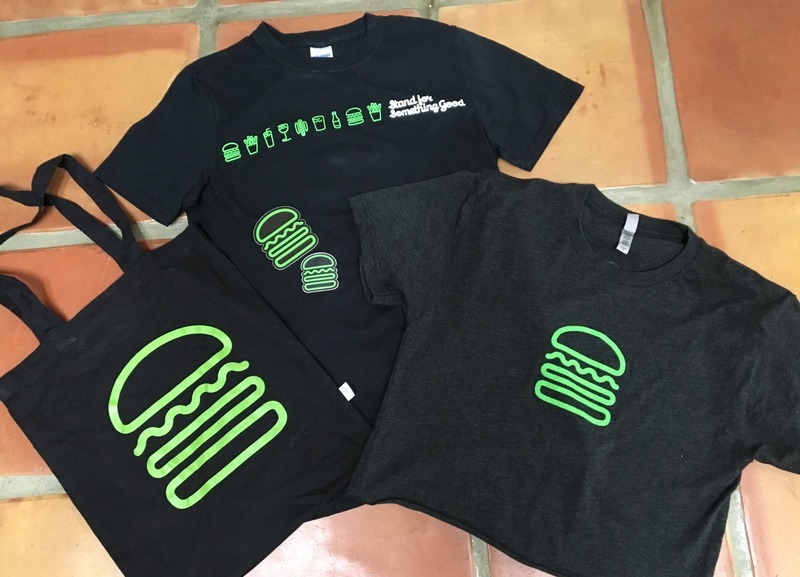 Shake Shack sent me two T-shirts and logo stickers, which are pretty cool. I have one of the stickers on my laptop! Twice, they've sent me tons of Shack Swag as well as two restaurant gift cards, which was super cool and super sweet! If you could change one thing about the brand, what would it be? Get some more advertising out there! I would love to help collaborate on something for Shake Shack. What's the one thing that would make you disloyal to this brand? I love burgers in general, so it is hard to just stick to Shake Shack with so many burger options out there.